Medigap policies are supplemental health insurance policies sold by private insurers, designed to fill some of the “gaps” in health coverage provided by Medicare. Although Medicare covers many health care costs, you still have to pay certain coinsurance and deductible amounts, as well as paying for services that Medicare does not cover. Who Can Buy a Medigap Policy? Generally, you must be enrolled in the original Medicare Parts A and B before you need to purchase a Medigap insurance policy. Other types of health insurance coverage, such as Medicare Advantage, other Medicare health plans, Medicaid, or employer-provided health insurance, do not work with Medigap policies. Under federal regulations, private insurers can only sell “standardized” Medigap policies. Through May 31,2010, there were 12 standardized Medigap policies, termed plans A, B, C, D, E, F, G, H, I, J, K. and L. Effective June 1, 2010, plans E, H, I, and J could no longer be sold. and plans M and N were added. Individuals who purchased a plan E, H, I, or J before June 1, 2010 may keep those plans. The standardized policies allow you to compare “apples with apples.” For example, a plan F policy will provide the same benefits. 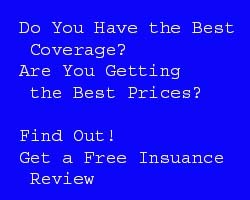 no matter which insurance company it is purchased from. However, a plan C policy will provide different coverage than a plan D policy. All Medigap policies must provide certain “core” benefits. These standardized plans are not available to those living in Massachusetts, Minnesota, or Wisconsin; there are separate Medigap policies available for residents of these states. There are two primary factors to consider when choosing a Medigap policy. Needed benefits: Carefully consider what benefits you are most likely to need; you may not need the most comprehensive plan. Cost: Once you have decided which benefits you will need, shop for the policy that provides those benefits at the lowest cost. Discounts: Some insurers may offer discounts to certain classes of people, such as women, non-smokers, or married couples. Medical underwriting: An insurance company may require you to fill out a detailed questionnaire on your health. The information you provide is used to determine whether or not a policy will be issued, or what premium to charge. Pre-existing conditions: If you have a “pre-existing condition,” a known health problem, before you apply for a Medigap policy, you may have to wait up to six months before that problem is covered. High deductible: Plan F is available in a “high deductible” option, which means that you must pay more of the cost before the policy begins to provide benefits. Premiums for high deductible policies are typically less. Medicare SELECT: Medicare SELECT policies are sold in a few states by a few insurers. Except for emergencies, these policies require you to use pre-selected hospitals and physicians. Guaranteed renewable: Medigap policies issued after 1992 are generally guaranteed renewable. This means that as long as you pay the premiums, are honest about health issues, and the insurance company doesn’t go bankrupt, the insurer can’t drop your coverage. In some states, policies issued before 1992 may not be guaranteed renewable. Insurer pricing methods: Tile table below shows three common methods by which an insurance company will price its Medigap policies. Community (No Age) Each insured pays the same premium, regardless of age Premiums may increase due to inflation. Issue-Age Policy premium is based on your age when you purchasethe policy. Younger buyers pay lower premiums. Premiums may increase due to inflation. Attained-Age Premiums are based on your age each year, thus premiums increase annually. Younger buyers pay lower premiums. Premiums canincrease each year.Premiums may also increase due to inflation. Medicare: The federal government’s Centers for Medicare & Medicaid Services (CMS) has a great deal of information available on their website at www.medicare.gov. You can also reach them by phone at (800) 633-4227 TTY users should call (877) 486-2048. State Health Insurance Assistance Programs: Many states operate health insurance assistance programs designed to provide assistance and information regarding Medicare, Medigap policies, and long-term care policies. State insurance department: Each state has an insurance department that regulates the sale of all types of insurance within the state. These state aqencies can provide information about Medigap policies.